Cosmetics can be hard to store in a college dorm room. The top of your dorm dresser is going to be taken up with other dorm items, and you will not have room to spread out your cosmetics like you may have at home. This can be quite hard - if you don't store your cosmetics on your dorm dresser, where else can you store them, after all? The dorm storage solution is simple and quite convenient. Store them in your dorm room closet! 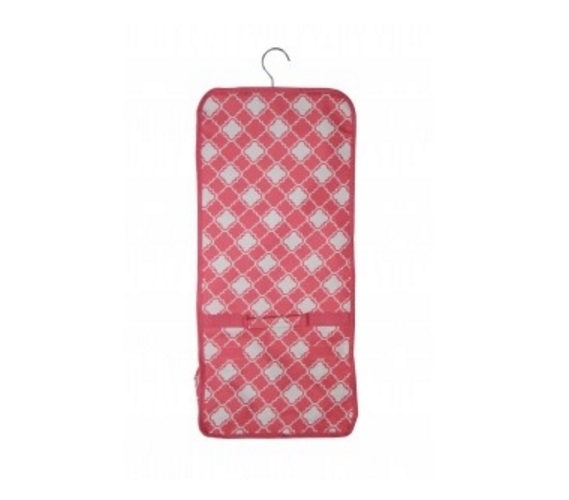 You don't have to set your cosmetics on your dorm shelves - simply keep them in our Quatrefoil Pink - Cosmetic Bag. 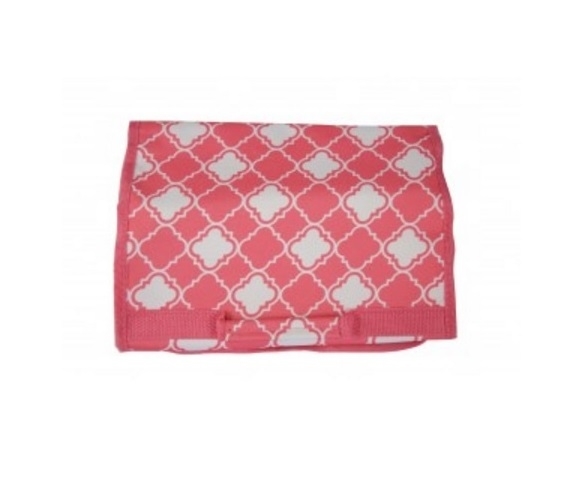 Our Quatrefoil Pink - Cosmetic Bag compactly and conveniently stores your cosmetics in your college closet through the metal hook along the top. However, it also can be easily folded up, strapped with the Velcro straps, and transported. 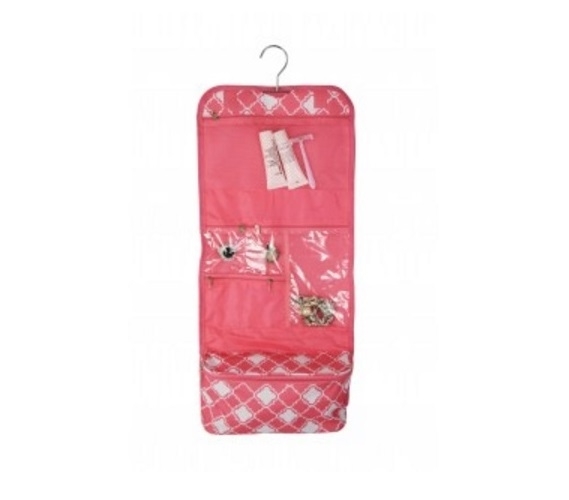 Place this dorm essentials item in your dorm duffel bag for weekend visits to your friends and family and have all of your cosmetics with you and conveniently stored. Plus, when all of your cosmetics are in one place, you don't have to worry about hunting for an eyeliner or eyeshadow before class.